Since its initiation in 2014, the Wild Atlantic Way has emerged as a bona fide cultural and tourism phenomenon. 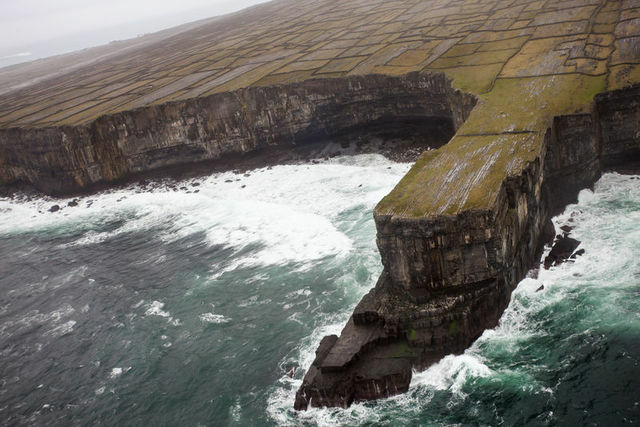 The 2,500km meandering exploration of Ireland’s west coast – between Donegal and Cork – encompasses numerous sites of natural wonder, such as the Cliffs of Moher and the Skellig Islands, that were well established as tourist destinations. So, as a concept, the Wild Atlantic Way was in receipt of ready-made traction, at home and abroad. However, by defining the route, in tandem with extensive and savvy promotion, Ireland’s various tourism bodies have been hugely successful in the sheer brevity with which they have established it as a global brand, increasingly synonymous with the Irish experience. According to data released by Fáilte Ireland, a staggering 8.742 million people from other nations visited the Emerald Isle in 2016 – an 8.8% increase from the previous 12 months. How much the Wild Atlantic Way directly accounts for this figure is somewhat unknowable, though we do know that one million people visited the aforementioned Cliffs of Moher last year. Clearly emboldened by the immediate, resounding response to their endeavours out west, the Irish tourism bureaucracy turned their gaze elsewhere, then sought out, and identified, the next grand undertaking. And so, from behind the enormous shadow cast by the Wild Atlantic Way, Ireland’s Ancient East appeared. Their shared snappy titles aside, these parallel siblings are not overtly similar, and, refreshingly, the powers that be have not attempted to create a cynically-conceived replica. 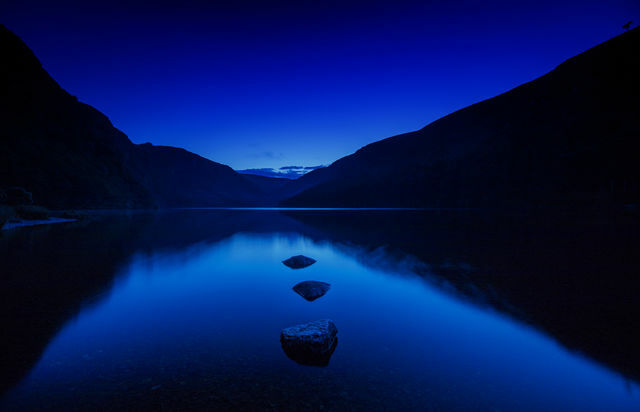 In both conception and geography, the Ancient East is a fundamentally different experience, offering a wholly alternative means of experiencing Ireland. 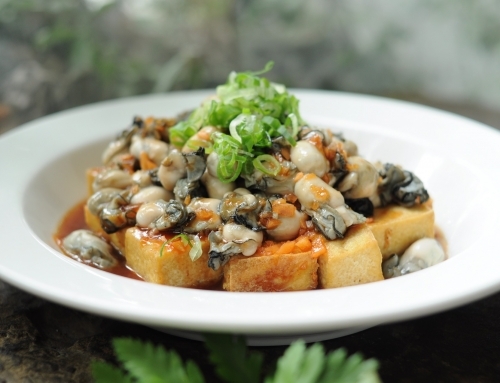 As the title indicates, the Ancient East is being sold as a cross-county, interactive history lesson – one which showcases five millennia worth of artifacts, remnants, architecture and literature. 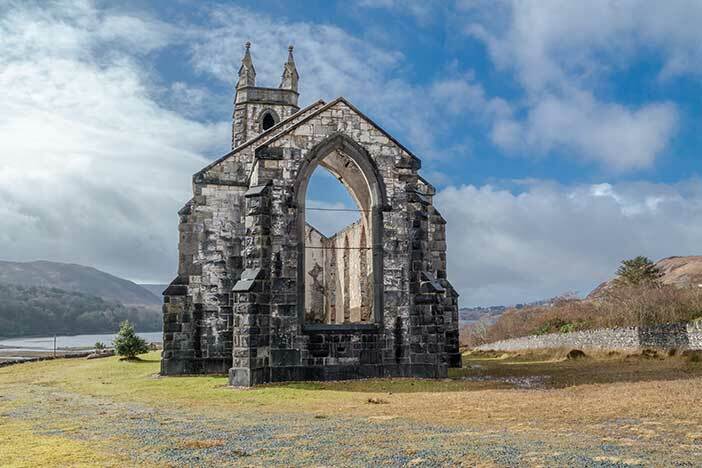 The vestiges of Neolithic, Iron-Age, Viking, Norman and Irish feudal epochs are inserted at the forefront of what is essentially a tour, as supposed to the more conventional route underpinning the Wild Atlantic Way. The great mythologies, too, are harnessed frequently. Fáilte Ireland, most likely with attracting those from overseas in mind, have sought to invoke the great Irish tradition of storytelling, but largely done so without hackneyed sentimentality. The Ancient East homepage is testament to this, and a trove of vivid accounts and imagery. Still working to solidify its identity, the Ancient East, by dint of its name, may struggle to do so for some time. Why? Because it is not exclusively confined to the east of the country – Cork, Athlone, Monaghan and Limerick are all listed – while many of the locations have never been hotbeds for visitation, from within Ireland or otherwise. And yet, despite the unhelpful ambiguity, the rich cultural, historical and natural tapestry are by no means undermined. These are simply growing pains. Perhaps as a means of combating this, and in an astute initiative to engage and educate those who stand to gain most from the success of the Ancient East, Fáilte Ireland issued ‘toolkits’ to the relevant parties in April. A sort of Cliffs Notes for storytelling, the free to download e-book is essentially a proprietor’s guide to espousing – in the most compelling manner possible – the many attributes of the Ancient East. 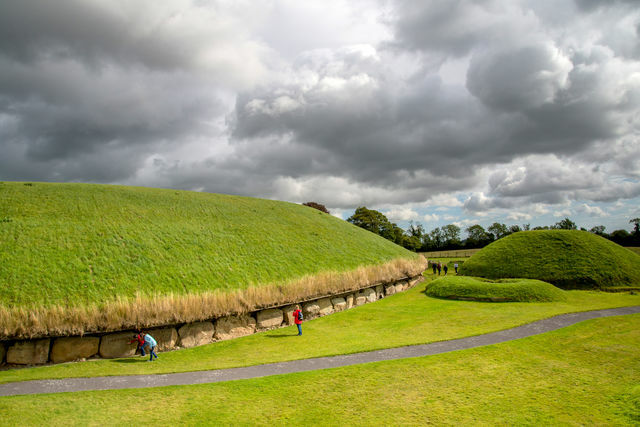 Mary Houlihan, the Fáilte Ireland Programme Manager for Ireland’s Ancient East, claimed that the toolkits were drafted following meticulous analysis and deliberation. “The toolkit emphasises that successful tourism attractions are built on visitor desires,” she explained. “Fáilte Ireland has carried out comprehensive research into the motivations that would best prompt people to visit Ireland’s Ancient East. Encompassing the eastern half – as supposed to just the coastline – of Ireland, for a total of 17 counties across three provinces dictates that, while those pushing the Ancient East are preaching local, they’re thinking national. 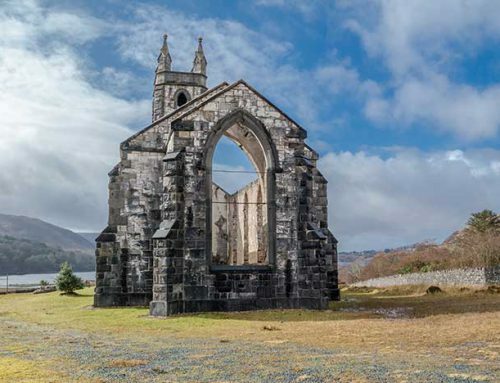 The trajectory of the Wild Atlantic Way is comparatively linear, and Mary Houlihan highlights the prudent trend of holiday-makers choosing a basepoint from where to see swathes of the region over the course of a vacation. 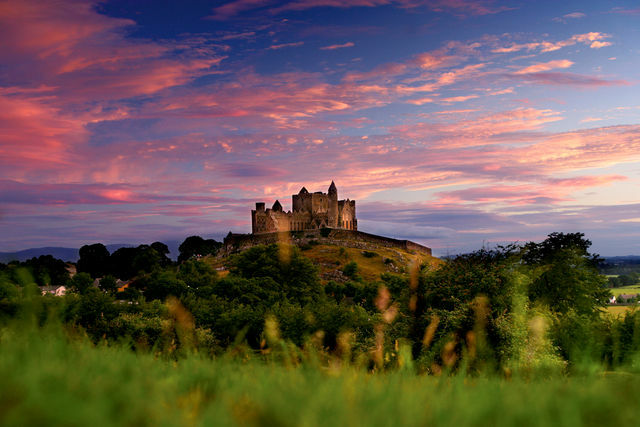 “Major visitor attractions such as Brú na Bóinne or the Rock of Cashel can be the motivating factor that influences a choice of destination,” she said. If the inception of the Ancient East has the potential to eminently imbue one of the less lionised counties, it’s Waterford. 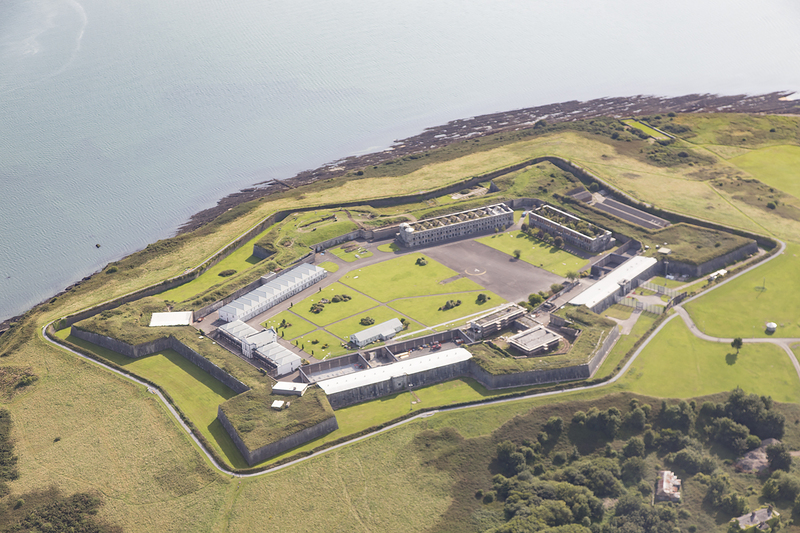 In the midst of a re-branding revolution and, now reaping the rewards of a concerted tourism heave, the home of Ireland’s oldest city could soon be elevated to crown jewel status in this nascent undertaking. Along with its place in the Ancient East, Waterford also offers the Copper Coast and Greenway to visitors – each relay very unique but equally splendid prisms to absorb the county’s undoubtedly exquisite landscape through. 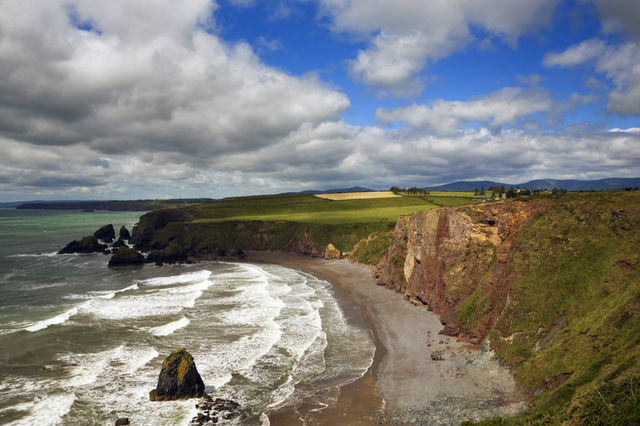 The Copper Coast is a quaint, meandering 25 km stretch between the paradisiacal shores of Dungarvan and Tranmore that, for those with a car, is an ideal day-trip. The name comes from local mines that were once a great source of mass exploitation for the British Empire. Should you wish to step back further in time, the topography is a smorgasbord of geological history, dating back to the Paleozoic era. 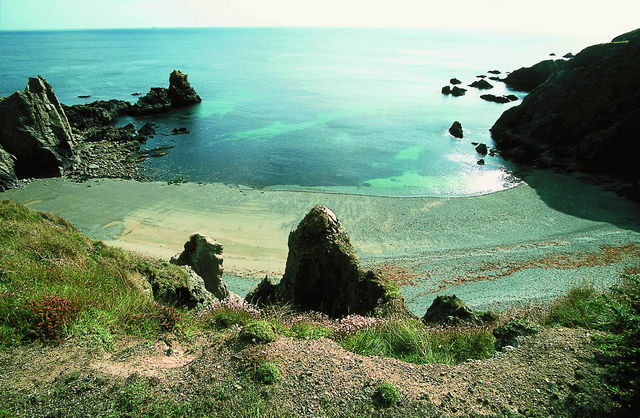 There are five designated sites that natural history buffs will revel in, while the Copper Coast was declared an UNESCO Global Geopark in 2015. There is an abundance of hiking trails and walkways, which can be taken via guided tour. 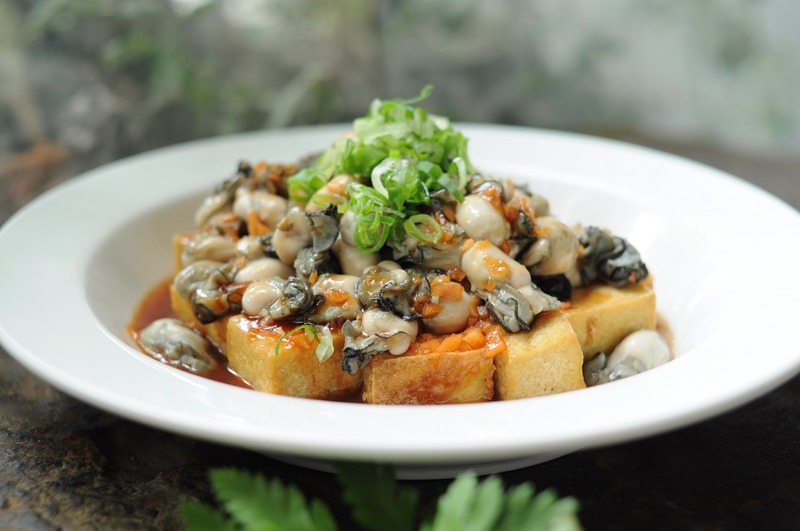 Moreover, a month-long annual festival has proven a useful centrepiece. The Greenway, meanwhile, was only officially opened in March, following a decade-long effort from a cadre of particularly determined residents. Built on the old railway line, the sinuous 46km bestows walkers and cyclists of all hue with ample grounds for exploration. Local historians offer guided tours against a backdrop of bustling small business, fecund greenery and ancient architecture. Indeed, after a year without commercial flights, Waterford Airport recently announced the addition of three regular routes to London Luton, Manchester and Birmingham, so accessibility for those travelling from the UK should improve exponentially. For Waterford, such a timely convergence has unlimited potential. And, according to Mary Houlihan, the process of synergy is underway. 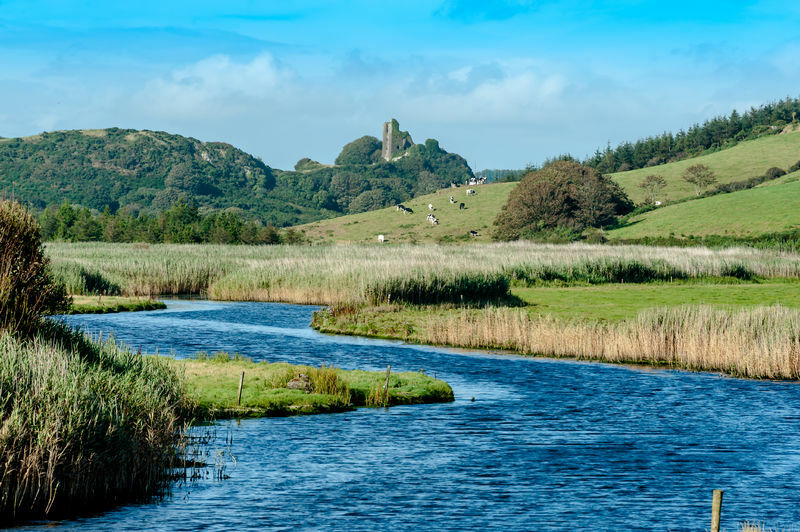 “Failte Ireland is working with Waterford City & County Council and the local tourism industry in Waterford to maximise the opportunity for both the Copper Coast and the Waterford Greenway as part of Ireland’s Ancient East. 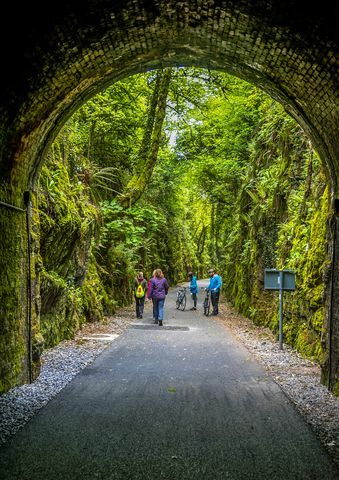 Some work has already been completed helping identify the story experiences along the Waterford Greenway,” she said. 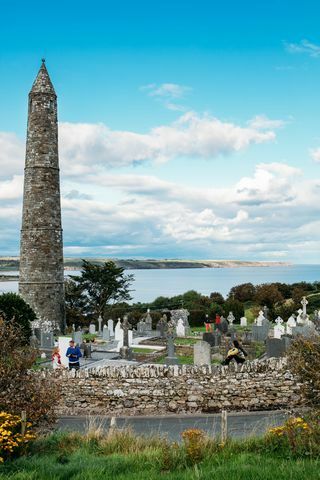 She also revealed that, in being advantageously situated to other Ancient East destinations, Waterford city – first raided by the Vikings in 853 – is being increasingly utilised by visitors, especially those driving, as an unofficial epicentre. “Visitors tend to use Waterford city as a base and take in a large number of other visitor experiences in the Ireland’s Ancient East region. 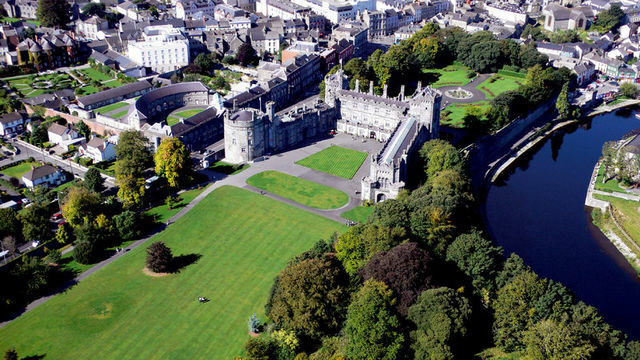 For example, the city of Kilkenny is less than an hour’s drive from here and visitors can take in the many attractions along the Medieval Mile which stretches from Kilkenny Castle right down to St Canice’s Cathedral. 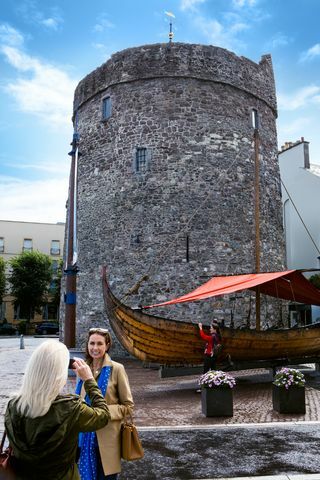 The Viking Triangle (cultural and heritage quarter), Reginald Tower and County Museum should be considered essential venues while in Waterford. Fáilte Ireland are acutely aware of Waterford’s viability and have acted accordingly in the execution of their regional and international marketing strategies. 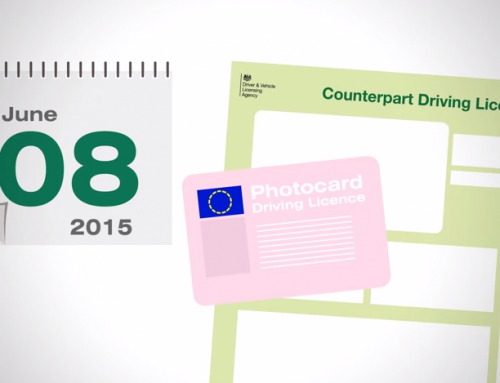 The benefits of this, Mary Houlihan enthused, will be gleaned in the months and years to come. 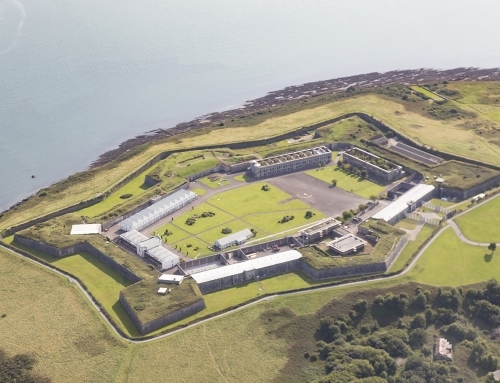 “Waterford is promoted as part of Ireland’s Ancient East both domestically and internationally. A number of international media and buyers trips have taken place in 2016 and are continuing in 2017. 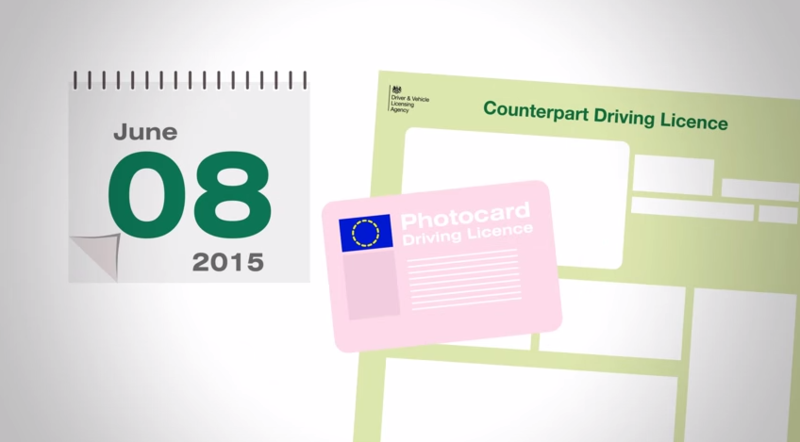 These are taken in tourism products in both the city and the county. 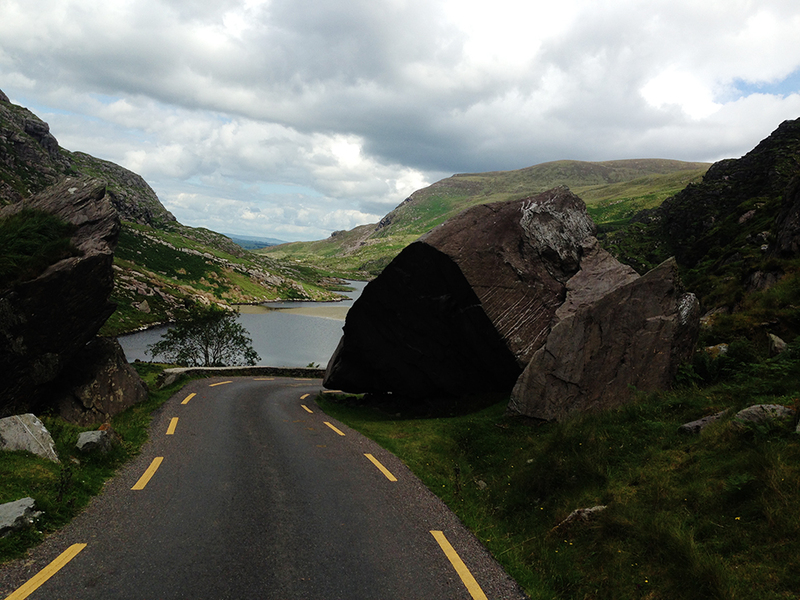 Self-Drive Ireland: A Luxury Experience?